We welcome Stratus Admissions Counseling on GMAT Club! Since 2006, Stratus has helped thousands of students from over three dozen countries stand out amongst other qualified applicants from around the globe and gain admission into the top MBA, business and law programs. In order to maximize your chance of being accepted by your dream MBA program, our talented and experienced team of MBA admissions counselors will guide you through every step of the process. Your Primary Counselor will guide you through our proprietary brainstorming and introspection process to identify areas of strength from all aspects of your life: academic, professional and personal. This process includes helping you articulate your goals and create a Personal MBA Strategy to achieve them. A Senior Strategist meets with you and your Primary Counselor to review your plan and delivers feedback from a second, extremely qualified, perspective. We are planning a road map that will affect the next five years of your life and well beyond. It is important for you to consider your trajectory from multiple vantage points in order to most effectively position yourself for your desired outcomes. Your Primary Counselor leverages our MBA Admissions Counseling team’s insight and expertise to help you identify programs that are aligned with your goals, values and test scores. If interested, we can introduce our school selection survey as a resource to help get your thoughts flowing. We encourage candidates to apply to a mix of stretch, target and safety schools. Your Primary Counselor coaches you through essay outlines to nail down the structure for a compelling narrative for each program. We ensure that each story resonates fully with who you are as a candidate (from your Personal MBA Strategy), and how your profile connects with each MBA program’s own unique culture. Your Senior Strategist will again join the discussion to provide detailed feedback on your outlines before you proceed with your first drafts. Stratus will also ensure that your outlines resonate with the culture of the school, via insights that our team shares. You will work with your Primary Counselor to edit each essay to hone its content, ensuring that you answer the prompt directly and completely. We provide example resumes and work with you to create an MBA-ready document that aligns with your strategy. Your Primary Counselor will assist with crafting any short answer responses to ensure that we’ve left no stone unturned in communicating why you are a perfect fit for each program. Your Primary Counselor will help you to identify the best individuals to support your applications through recommendations. We will work with you to provide each recommender with the appropriate information about your school selection and strategy to ensure the strongest recommendations possible. In the event that your current supervisor is not writing a recommendation, we will help with crafting an optional essay to explain your recommender selection. To complement the thorough outlining and drafting guidance your Primary Counselor provides, each set of essays is reviewed by a School Specific Reader who provides both strategic and stylistic feedback as they relate to tone, as well as the school’s culture and values. A qualified proofreader then reads the finalized drafts to catch any typographical or grammatical errors to ensure that the essays are ready for submission. We coach you through the MBA interview process by sharing our insider knowledge, providing you with school specific interview tips, sharing sample questions with guidance on how to craft your responses, and providing mock interviews and feedback. When admissions decisions are in, we guide you in deciding which program you should attend based on all of the factors that will affect your future: occupational, financial, cultural, geographical and any other areas that are important to you. Your Primary Counselor will also assist you with scholarship offer negotiations. In the event you are waitlisted, your Primary Counselor will help you develop and implement your waitlist strategy. Can the applications be submitted with an unofficial GMAT score? and can the official score be mailed after submitting the applications. I started with Intel, then switched to 2 startups one after another which were bought out by Synopsys (SNPS), then worked for Qualcomm, Iphone chip maker, then Xbox 360 chip. 2 years ago, started my own healthcare services venture and today run my own venture and lead 40+ staff. Undergraduate Degree: GPA: 3.8/4.0 B.S. (Electronic) from VJTI (A top 10 school in India - in the same league as IITs or 1 notch below IITs) - The degree was a four year course. Despite extenuating childhood and teenage circumstances due to family-health, constantly worked and still work everyday to improve myself and emerge pretty successful with academics and later in work sphere various roles. Community Service: My extremely difficult childhood familial circumstances (provide details on phone) and tough-time getting jobs after masters in USA just after Sept 11th 2001 made my existing strength of seeing from other person's point-of-view=empathy MORE stronger. My plans after MBA, in the order of preference, are to start another venture of my own and/or pursue academia - economist after few years. 1) Considering my profile and my GMAT score, what are the chances of getting into chicago-booth, harvard, wharton, tuck, kellogg ? 2) I can retake GMAT; get higher 750+ score. I have had extremely difficult childhood and have motivations for evangelizing disease awareness and then establish rehab and treatment options in emerging economies? Thanks for reaching out! I am happy to set up a conversation and call, but I prefer to work via email. I will PM you to continue the conversation. In my current role I am leading the Productivity and Performance Projects for all the 10 manufacturing plants . Herein , I am the first person person responsible for exceuting , tracking , monitoring & controlling the 15 field projects in various factories . These projects include focused Efficiency improvement of some of the beverage lines , Manpower reduction on some staions on the line etc. Also , I am the Diversity and Inclusion lead for all the Pepsico Manufacturing facilities . Part Time Profession : I am an Indian Classical singer and have been trained for 6 years and hold a Sangeet Visharad . Currently I have my own Sufi Band and we do gigs in clubs in and around Delhi . I'm not sure as to which schools would be a good fit for me.I want to work in Asia/Europe ,and hence,looking at these bschools. I've just given my GMAT and got a score of 670(47Q/35V, IR 7). I'm an Indian male, age 24 years. I have lived outside India for the major part of my life (in the middle east). I have a bachelors degree in Electrical and Electronics form NIT Warangal ( Rank 8 college in India ) with a CGPA of 6.3/10, graduated in 2013.After which I worked at Bank of America as a Tech associate in India for 18 months. Here I was the offshore point of contact for an agile project. Worked in the role of Business Analyst in gathering business requirements and developing test cases working extensively with the developers and business partners. Got a silver award for my work in this project. I then started a company with my friend called Urbserv which is a online/mobile app that allows you to book a handyman around the clock at your convenience. We launched in March and have received around 1000 orders till now.While working on the startup our aim was to create an app for cooks and cleaners on the go and improve their living conditions by the profits we generated from this but to change the idea because of security laws that govern this kind of work and the investors werent interested because of this. I then moved to Riyadh,Saudi Arabia after working for a few months in the startup and started working as an Assistant Manager in a mid sized Printing and Packaging Firm(generates business of around 5 million SAR monthly ) to improve my leadership skills and to learn all aspects of running a company.Here I supervise the overall working of the company focusing mainly on operations and sales and have about 80 people reporting to me. Over the course of 6 months that i have worked here the company has improved its profit margin from 14-18%. We have used the extra money to improve the living conditions of our labour employees and in educating them. In the past 3 months we have focused on using a part of our profits in helping the under privileged by organizing volunteering activities. During the process I have learnt that an MBA would have been very helpful.I would like to start a Social enterprise after my MBA, which aims on creating revenue generating businesses marketed with a social theme and the profits generated from these business will be used for building homes and providing food for the underprivileged in the country .In 10 years time I would like this Enterprise to improve the living conditions of the people living below the poverty line by building homes, proving food,education and providing proper healthcare. To further my career at this point in time I would like to apply for an MBA program. Given my profile it would be very helpful if you could advice me to which colleges I can apply to. With colleges considered, ambitious, moderate and safe. - EDIT: left my job in Oct 2015 - I was told by someone else that in such a situation, it's not worth applying to any schools with a <15% admittance rate - would you agree? Located in New York City since 2006, Stratus Admissions Counseling is a premier MBA Admissions Counseling firm committed to helping clients achieve their dreams of going to business school. Stratus Admissions Counseling has served thousands of clients from over 3 dozen countries. Our three-pronged approach provides each candidate with a counselor who will be their “coach” throughout the process, a team of admission experts to help support the process and an account manager to provide the highest level of customer service in the industry. This approach has helped students gain admission into all of the top schools worldwide for undergraduate and graduate work including: Harvard, Stanford, Wharton, Columbia Business School, Fuqua School of Business, The Sloan School, as well as dozens of others. 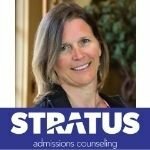 Numerous major publications have sought Stratus Admissions Counseling’s expertise on admission to graduate schools and test prep, including The Wall Street Journal, The Financial Times, Fortune, and Bloomberg BusinessWeek and US News and World Report. We believe that every student deserves a personalized approach, efficiently developed and strategically tailored to make their application stand out amongst the thousands of other applicants from around the globe. We are committed to helping every client present their best self in order to stand out amongst the crowd. Use this forum to ask any and all of your MBA admissions questions, and to learn more about us and how we can help you reach your dream MBA program. At Stratus Admissions Counseling, you work with two admissions counselors so that you have both a partner in this process and an objective, external evaluator at every step along the way (not just at the very end when it’s too late to address any areas for improvement). By assigning you two counselors, Stratus Admissions Counseling also ensures that your application package will appeal to readers/interviewers with diverse personal and professional backgrounds. Stratus Admissions Counseling have a proven, robust, proprietary admissions strategy methodology that will guarantee that you are most effectively marketing yourself to the schools of your choice (we believe getting into the top schools is about much more than simply drafting well-written essays). This strategy ensures critical alignment between all the facets of your application. None of Stratus Admissions Counseling’s MBA Admissions Counselors have full-time jobs (unfortunately such moonlighting is all too common in this industry). MBA Admissions Counseling is the main source of income for all of our counselors so you are their #1 priority. Our counselors, most of whom are former consultants, bankers, and corporate marketers, are available in person, by phone, and via email to assist you any time. We strictly cap the number of clients/schools each counselor works on so that you can be sure to get the individualized attention and quick turnaround times that you deserve. All of our counselors are graduates themselves from top 5 MBA programs with significant admissions experience. Our team treats every MBA application that we work on as if it were our own; we will not rest until you and we are satisfied that there is nothing else you could possibly do to improve your chances of gaining admission to the schools of your choice. With L&T being India's largest Engineering and Construction Company, L&T-Chiyoda (a JV between L&T and Chiyoda Corp, Japan) is L&T’s main center for engineering. Report to AGM of the Department and responsible for engineering & design for Oil and Gas Projects. (MT Scheme of L&T is aimed at identifying potential managers / leaders evaluated on the basis of several key parameters such as Leadership qualities, Vision, Interpersonal communication and Creativity through a series of aptitude tests and interviews conducted by Company level VPs). Dodsal Group is a leading EPC player in the Energy, Industrial and Infrastructure sectors with a strong track record of executed project in 22 countries the Middle East, Europe, Africa, the Indian Subcontinent and South-East Asia. -	Led a team of two colleagues through all phase (conceptual design, procurement, detail design & Factory acceptance test) of a Safety System costing around $ 3Mn (approx. 0.5% of Project Cost). BE, Instrumentation and Control, 2010. Result: 71.02% First Class with Distinction. -	As a Department Placement Coordinator helped fellow students & juniors in improving their aptitude & communication skills by conducting mock placements & communication workshops. Request to indicate chances for each school in terms of achievable, ambitious and safety option. Thank you so much for reading and evaluating my profile. UGrad	: BE in Instrumentation and Control with 71% (First Class with Distinction)ADCOM likes to see first class with distinction! Good job! I responded to this yesterday - so hopefully you can see my comments- reach out to pm if you can't see them! I want a small piece of advice pertaining to MBA admissions. I graduated in Electronics Engineering with 67% marks. Though it was first Division, it is not good and would most probably be categorised as low GPA as per my limited understanding. I joined a MNC IT but was disinclined to work in IT sector. After a year I left the job looking for clarity in career. I devoted next 2 years in preparing for competitive examinations for a Government job while managing to do some volunteer work for Art of Living NGO and contributing in my Uncle's small business in pharmaceutical sales. After securing a job in Government of India, wherein, 7000 people get selected out of 7-8 lakhs applicants and where I worked for around an year In the Ministry of Drinking Water and Sanitation as an Assistant Officer in the Program Evaluation and Monitoring Division of Swach Bharat Mission. Subsequently I went on to crack a respectable job with the Parliament of India (only 8 people got selected out of more than 50000 candidates in an all-India examination). Since then, I have been working as an Officer here for more than two and half years now. My work in Parliament has been quite challenging as well as satisfying. It is a mix of administrative and academic as I organise and manage meetings and study visits of an important Parliamentary Standing Committee. I help the Committee to examine the budget of one of the largest Ministries of Government of India and undertake and examine several important subjects related to that Ministry along with drafting its reports on those Subjects. I have been an excellent performer here with some great appraisal ratings and can get an excellent recommendation from both my immediate boss as well as Divisional Head. I can manage a good recommendation from a reputed Member of Parliament as well. Apart from this I have been associated with lots of extra curricular activities and NGO work (Art of Living) though mostly during my college and early professional career. I am also Vice President in a Toastamsters Club in Delhi currently and am responsible for mentoring of around 40 Toastmaster Members and defining their growth as a Toastmaster. My short term goal is to transition to Consultancy Sector after doing an MBA though I'm confused whether my work ex would be helpful in that or not. In the long term I want to expand the realm and scope of the government consultancy sector globally as well as in India. With an average academic record in my graduation, 720-740 GMAT score (assuming) and some very good recommendations what are the chances of my application getting rejected or accepted by Top 25 US Universities on the basis of my work-ex and/or low GPA. Should I focus on applying in Top 20 US colleges or am I just wasting my time? Please advice. I understand that no factor is exclusively dominant for an admit, however, I am in a dilemma if my work-ex in Government Sector will be a hindrance for me to get an admit. Please guide me. I would really appreciate if you can review my profile. Software Engineer in Arista Networks, India( based in US ). Worked for a month on a project in HQ( Santa Clara, US ). 1) Interviewed for internship and full-time positions in a campus hiring program at 2 reputed institutions. 2) Mentored interns and new hires every year after my 1st year at the company. 3) Won twice ( 1st and 2nd position) in hackathon( a 24-hour event to hack/design/create ideas ) organized every year in company. 1) Playing Badminton. Reached semi-finals in a college badminton tournament. 2) Multiple event management experiences in college and in workplace. 3) Participation in Community Service organized by company semi-annually. General Management or Product Manager roles in technology/ecommerce industry. ( To utilize learnings from my experience in engineering background ). What are my chances in Kellog, Columbia and Tuck ? Should I even bother applying to these? Also, do I have decent chances at INSEAD, Darden, Duke, and Ross ? What are the other colleges you would suggest based on my profile assuming medium-to-strong essays and application ? Hello Thank you so much for helping us with this. I have a 690 in GMAT and 3.75 yrs of work experience in an Oil Company in India. I have some social work under my belt and am working on a NGO of my own. I have a 7.87 CGPA from a top university in India. I have worked with international vendors and have worked in projects that value nearly 100M USD. Target schools include INSEAD, HEC and IE. Any suggestions to improve my profile or mold it to the requirements of the above schools? Hi! Can i please get your valuable insights here? I scored a 670 gmat! I am looking at Mim one year programs. Do i stand a chance at LBS, LSE or NUS? Also what other schools would you recommend? I come from a business family and eventually want to set up my own business. Currently working with father since first year of college. Expanded work and set up two independent units of my own. Working on 2 more projects with him. Have a decent range of curricular activities and social work. Background in environment protection, natural resources management and tourism. I applied for EMBA at Stern, I did the interview and I submitted 10 days ago the formal application. I'm waiting the decision of admission commission. I would like to know how the possibility to be admitted in EMBA at STERN after the interview. Work experience - 1.5 years by the time September next year. Wanted to know about my chances for PhD at HEC Paris, LBS & INSEAD. Work Experience: Total 6 years of experience. *2 years of sales & distribution experience as Area Head for the business driving large teams & responsible for delivering topline for the territory. *2 years of experience in handing eCommerce channel for PepsiCo, responsible for driving account relationships with online Groceries in India (Amazon, Flipkart * other eGroceries) & delivering P&L objective metrics for the organization. Working in the eCommerce role exposed me to the way digital is shaping businesses in every function. Met Indira Nooyi in India & her words of guidance to us was: Run eCommerce channel in PepsiCo like a Tech Company not like a CPG Org. Realized hands on that eComm is not just a platform for purchase but a medium now to transform GoToMarket channels (Online B2B, B2C, HoReCa) , Marketing strategies (Amazon Media Services), Communication modes (Amazon search competing with Google now) & a whole new experience to connect with consumers. Long Term: General Manager roles in retail sector demonstrating leadership across multiple geographies & leveraging digital capabilities in driving business P&Ls and growths. 1. Which schools should i target with the profile & score. 2. What are the possibilities one can explore in eCommerce space in terms of roles - Do people pursue Strategy/GoToMarket roles in tech ? 3. 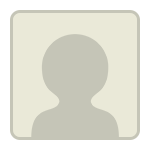 I wanted to write Product Manager roles in eComm but dont have a coding experience per se. How critical is that & would that impact the application ? 4. Is Indian GPA at IIT Roorkee 7.51/10 decent enough when converted to 4 scale GPA ? 5. To answer why another MBA, i really feel that my MBA 4 years back helped me gain experience in driving businesses traditionally. But in the span of 4 years, i saw quite massive drifts in the way digital is shaping businesses these days. And that's what i wish to seek ahead in my learning pursuit. (Crude form currently).